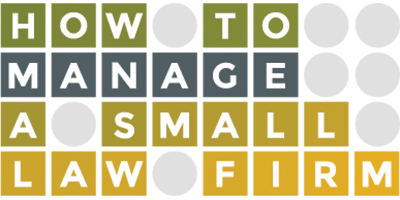 We are the leading, largest, biggest, and best provider of outside Managing Partner, Chief Operating Officer (COO) and Chief Financial Officer (CFO) services exclusively for the solo and small law firm (single-shareholder) market. er and sacrifice and sweat. 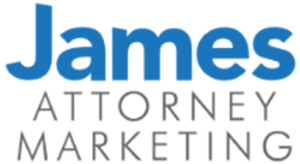 James Attorney Marketing has been helping attorneys thrive since 1981. Our rich history in legal content uniquely positions us to generate more leads and more clients for your law firm. We’re not just another turn-and-burn SEO provider. We look for long-term partners who are ready and willing to dramatically grow their firms. Request a free marketing audit today to find out how we can help you. There are 1,300,705 licensed attorneys in the United States. 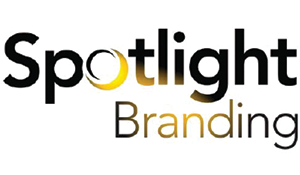 Spotlight Branding will help YOU stand out from the crowd. We provide internet marketing services – including website design, social media marketing, video marketing, and more – exclusively for solo & small law firms. If you’re serious about growing your law firm, we can help. 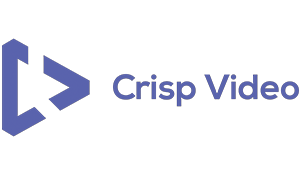 Crisp Video provides video production and marketing using a method they developed for telling your law firm’s story in a way that creates an emotional appeal while sharing what separates you from a sea of competitors. They provide premium legal video marketing for attorneys and law firms that simply want the best. 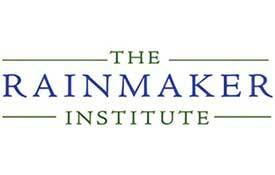 The Rainmaker Institute specializes in comprehensive legal marketing for small to mid-sized law firms. 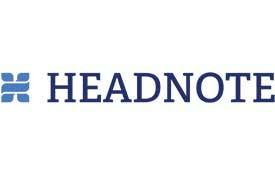 Headnote is the fastest-growing payment tool in the legal industry. Law firms can quickly modernize how they get paid by simply sending a Headnote payment link via any method or software. It’s client-friendly, ABA & IOLTA compliant, and offers the lowest transaction fees in the industry. Headnote is the best practice for legal payments because your time is money. The Newsletter Pro, based out of Boise, Idaho. Although The Newsletter Pro has only been operating for 6 years, Shaun and his 60+ member team have grown the company into the nation’s largest custom print newsletter company—printing and mailing millions of newsletters annually for diverse industries spread across four countries. From SEO to PPC to Blogging to Social Media and beyond. What is right for your practice and how to leverage the right tool to grow your business? Seth Price will break down each element of digital marketing and demonstrate the pros and cons of each. Join Seth as he shares the lessons of several decades of legal marketing and how he used digital marketing to grow Price Benowitz LLP from 2 to 32 lawyers in less than a decade. www.internetlava.com – Internet LAVA knows what it takes to be successful online. With an emphasis on informative content, strong visibility, and an exceptional user experience, they provide website design and internet marketing solutions specifically formulated to help law firms connect with their ideal clients and grow their practice. 4iiz creates software that turns more calls into clients, guaranteed. By integrating phones, CRM software, and dynamic scripting tools, 4iiz tracks and converts leads at a higher rate using a proven step-by-step process. Designed and tested in a law firm, 4iiz helps stop the leaks in your marketing and sales funnel. Insuring Lawyer: The Nations Most Recognized Experts For Lawyers Professional Insurance Offering Lawyers Professional Liability, Office Business Insurance with Data Breach/Cyber Liability, Employment Practices Liability, And Workers Comp Protection. Insuring Lawyer has an unmatched exclusive national Lawyers Professional Insurance program for a true solo Law Firm to Law Firms with 100+ Lawyers. Lawmatics is the first and only CRM, Intake and Marketing Automation platform designed specifically for law firms. Automation anything from intake processes to email marketing, custom forms and e-signature documents. Complete control over your data with full custom reporting. More clients, more cases…simplified. For busy attorneys whose to-do lists are larger than their resources, LexReception offers dedicated, professional virtual receptionists and online services to help lawyers work smarter, freeing them to focus on what matters most. Unlike other answering services, LexReception offers 24/7 bilingual service, dedicated agents, and easily integrated tools. GlobalMac IT helps growth-minded, Mac-based law firms transform their operations and boost profits by leveraging technology. Through their unique process, they create a custom roadmap that defines their clients’ biggest dangers, opportunities and strengths they need to focus to realize their ideal future. Technology-driven strategies are then developed and implemented to achieve these goals. At Perfect Legal Video we specialize in getting our leads, clients, and revenue through the magic of video marketing and social media marketing. We take your current or new marketing videos and use them ten different ways with the purpose of bringing you leads! Come by our booth today! ApexChat has been providing live chat conversion software and chat agents for businesses since 2008. They service over 8,000 websites. ApexChat is designed to capture additional leads with zero hiring and training necessary. Their service runs 24/7 and chats are handled in both English and Spanish. With industry-leading features such as Facebook Messenger integration, SMS Text-to-Chat, Call Connect, and built-in Exit Popup technology, you’ll get noticeably more leads immediately. ApexChat offers pay per qualified lead pricing with no long-term contracts. The company prides itself on outstanding customer service. Trusted by thousands of attorneys since 2003, Ruby® delivers exceptional client experiences that win you business and help you build a stellar reputation. From Portland, Oregon, we answer 100% calls live with your custom greeting and instructions, transfer calls when and where you want, take messages, collect intake, make follow-up calls, and much more—just like an in-house receptionist. Enjoy our innovative mobile app, local number hosting, integrations with Clio, Rocket Matter, and Lexicata, and a comprehensive suite of features for a fraction of the cost of an on-site hire. Answer 1 is here to be an extension of your firm, doing what we do best so that you can do the same. Our dedicated team of legal virtual receptionists will handle the client, so that your team can handle the case. Lead qualification and appointment scheduling ensures that your firm will get the right clients at any time, and our seamless CRM integration puts important client information at your fingertips so that you can focus on growing your firm. Lexicata is the #1 CRM and client intake solution built for law firms. With our customizable online intake forms and e-signatures, Lexicata makes the client intake process fast, seamless, and efficient. Our proprietary legal CRM helps you manage your prospects at each step, from initial contact through retention, and provides actionable data on the effectiveness of your marketing efforts. Alert Communications provides call center Intake, initial “Contact-2-Contract” & Virtual Reception Services for law firms since 1965 with English/Spanish support 24/7/365. We intake all lead types for potential new clients with inbound or outbound calls, texts, chats, web forms & emails or other imported lists. Adding Alert to your law firm and marketing plans results in a winning strategy! The Martindale Legal Marketing Network helps attorneys grow their practice through exposure to 15 million consumers and businesses monthly who visit our websites for legal information. We drive client prospects to attorneys through a combination of targeted lead generation, online legal profiles, live chat and award-winning website services. The ABA Retirement Funds Program (“the Program”) provides affordable 401(k) plans exclusively to law firms of all sizes, even solo practitioners. The Program offers plan design flexibility, a broad range of investment options, full-service administration, and professional fiduciary services. Call us at 866-812- 3580 for a free consultation or visit www.abaretirement.com to learn about a different kind of retirement plan built specifically for your law firm. No Time for Social provides full service social media management for small to mid-sized businesses. We create and manage personalized marketing and advertising strategies and pride ourselves on making professional digital marketing and advertising accessible to all organizations and to all kinds of companies and businesses. Our goal is to provide social media management at a reasonable cost to our clients. Legalinc’s professional platform automates and modernizes the delivery of legal services. Legalinc provides technology-driven registered agent, business formation, entity management, and compliance tracking services so you can focus on growing your firm. Named #257 of fastest growing companies in Inc 5000, Legalinc is dedicated to creating efficiencies through technology. LawPay is the proven payment partner for law firms, offering technology developed to meet lawyers’ needs. Our simple solution correctly separates earned and unearned fees, protects IOLTA accounts, and provides PCI Level 1 security. Our in-house support team is here to help you succeed with knowledgeable, personalized service. Stop putting out fires and start building your firm! streamlined.legal delivers peace of mind by helping you create efficiency in your daily workflows and optimize your use of practice management software. Our team has been there and done that. Work smarter. Get streamlined. Clio is the leading cloud-based, mobile-friendly, legal practice management software platform. Produced with the cooperation and advice of bar associations and law societies worldwide, Clio delivers all the features and integrations that law firms need to run a successful practice. With over 100 app integrations, such as Microsoft Office 365 and QuickBooks Online, Clio offers more integrations than any other practice management software. Clio isn’t just software: It’s the central platform for data-driven lawyers looking to meet their clients’ needs and run efficient, profitable practices. Law firms of all sizes and practice areas use Clio’s cloud-based practice management platform, from solo lawyers to firms of over 100 staff. Abby Connect offers growing law firms a team of elite, virtual receptionists. Too many firms spend money advertising a website and number without investing in answering those calls. Abby Connect has been converting callers for 13 years and was just named #1 Legal Answering Service by B2B research firm Clutch.co.